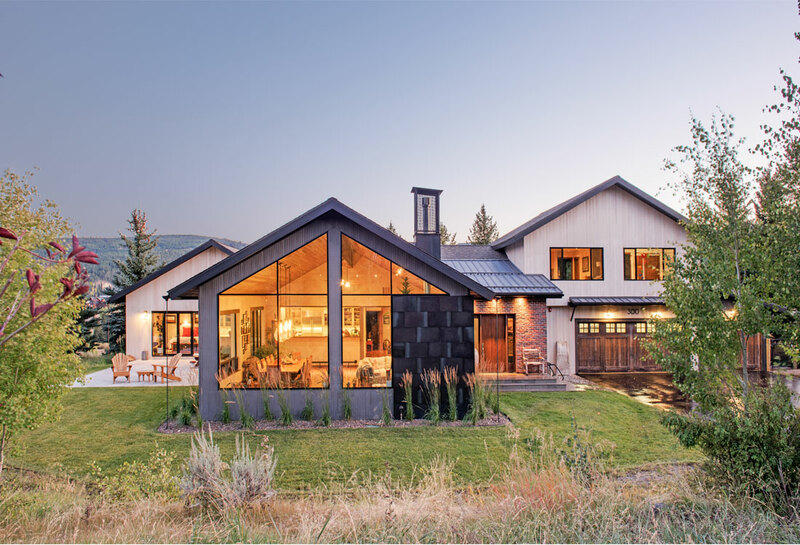 Centre Sky Architecture is proud to present Sweetgrass Hills 7 (SG7) as our next remodel/addition project in Big Sky. Thank you to the owners, Mindy and Stuart Goldberg, for the awesome interaction on discussions and the final implementation of aesthetic for SG7. Big Sky Build was our general contractor and with their team, John Seelye, Jeff Trulan, Doug, and Brian Schmidt as usual “rocked” with their process and scope of work. Some of the amazing subs and artisans that brought this project together were Davidson Masonry, Extreme Roofing, Vintage Wood, Earth Elements, EL Painting, and Dynamic Doors and Windows to name a few. For this full interior and exterior remodel with small additional spaces our team transformed a traditional rustic, outdated home in Sweetgrass Hills to a clean-lined, modern home with urban detailing throughout. The SG7 aesthetic personality is a refreshing simple expression of color and material that ranges from historic brick, vertical linen wood planks, and steel windows and doors creates a style that we call mountain industrial.